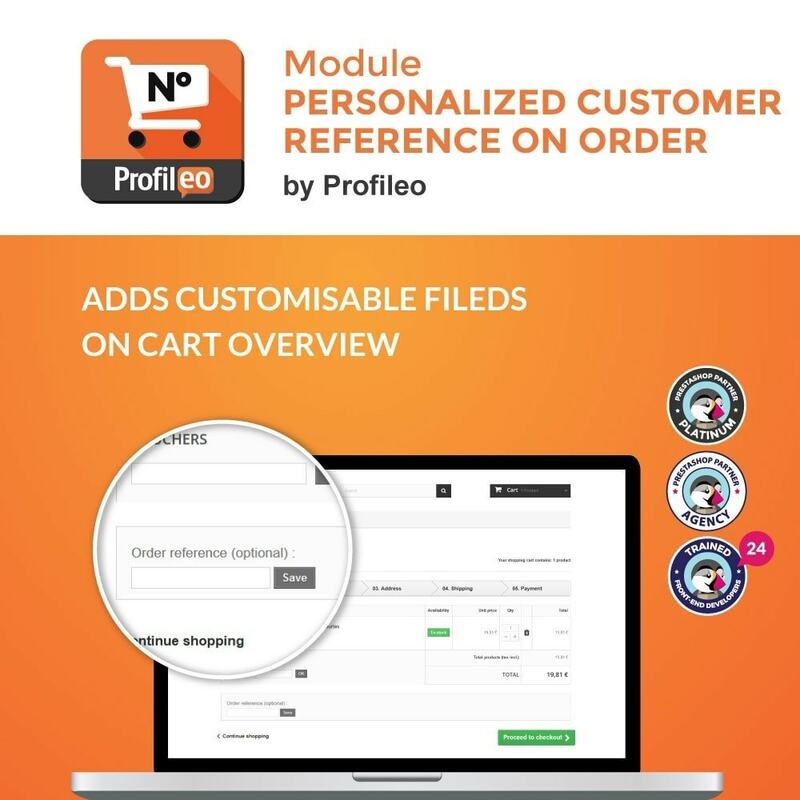 This module lets your client add a personalised reference during order. Meet the needs of clients who want such a functionnality on their orders. 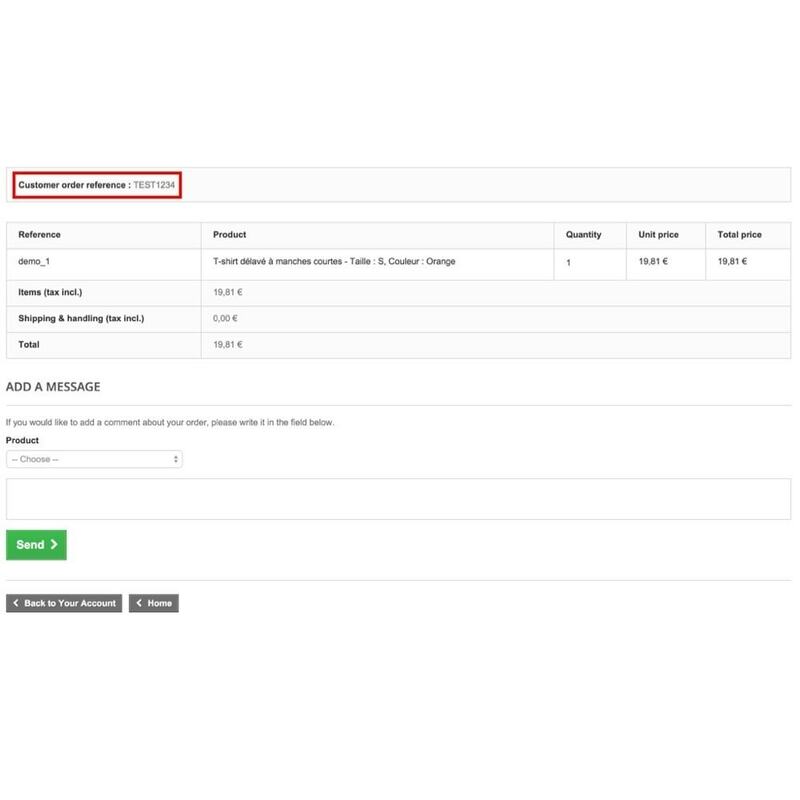 Process more efficiently orders with a specific client reference. 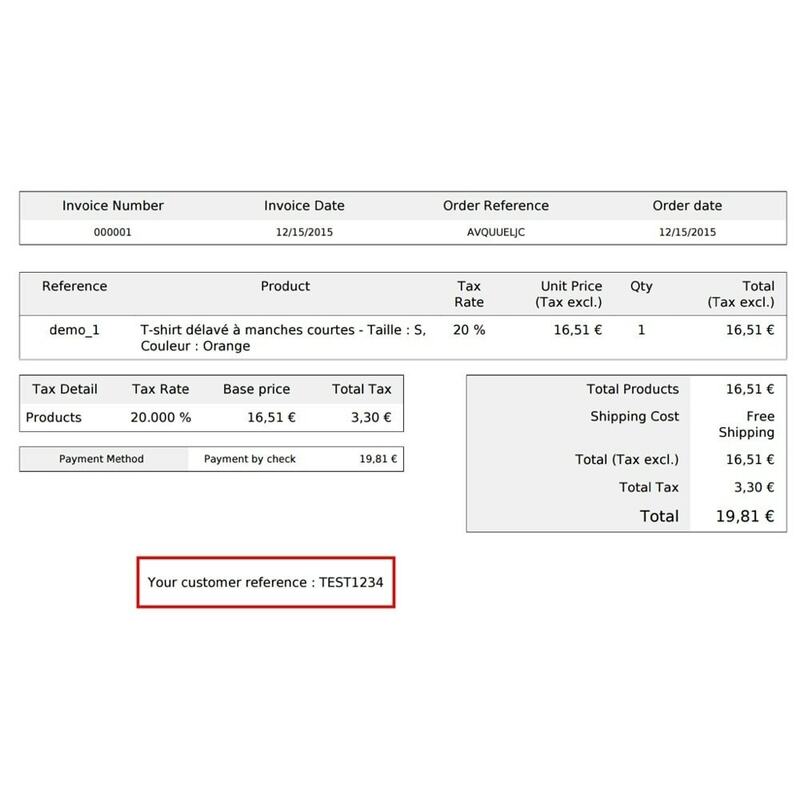 This module adds an optional field on the order summary page. 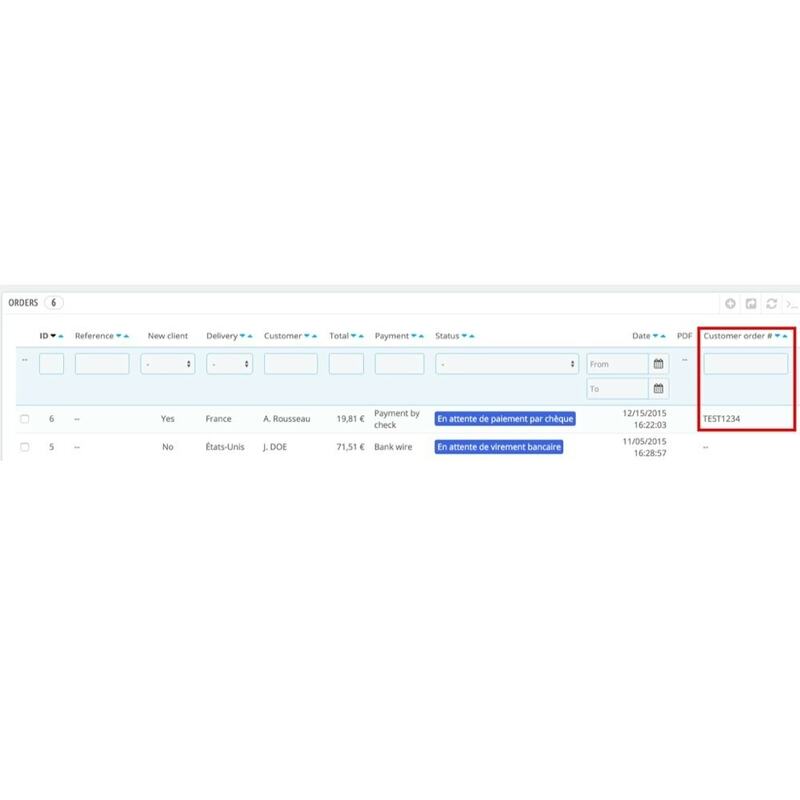 Additional field can take numbers, letters and special characters. The maximum length for this field is 250 characters.